WITH the successful anti-satellite missile test, India is capable of hitting a target at a range of over 1,000 km in space and a lower orbit was chosen for the mission to avoid threat of debris to global space assets, DRDO Chairman G Satheesh Reddy said Saturday. On being asked whether multiple satellite targets can be hit, he said, “It is a question of how many launchers we have, and with multiple launchers, one can have multiple engagements. But, multiple (targets) is definitely feasible.” India shot down one of its satellites in space on March 27 with an anti-satellite (A-SAT) missile to demonstrate this complex capability, joining the elite club of countries -- the US, Russia and China -- which have such capabilities. “The A-SAT test was successfully conducted with a new interceptor missile against a live orbiting satellite in the Low Earth Orbit (LEO) in a hit-to-kill mode. 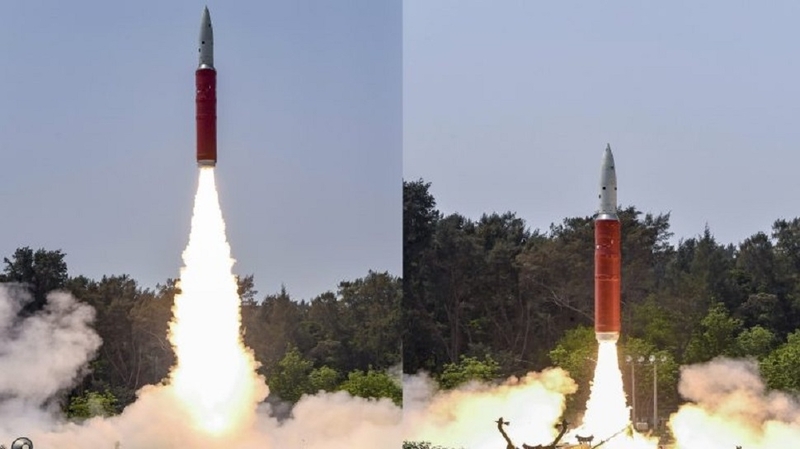 The interceptor has the capability to hit target at a range of 1,000 km, which covers most of the LEO satellites,” he told a press conference at the Defence Research and Development Organisation (DRDO) Bhawan here. “An orbit of around 300 km was chosen for the test for capability demonstration and the purpose was to avoid threat of debris to any global space assets,” Reddy said. His remarks come days after NASA raised concerns about the spread of debris from the A-SAT test India conducted under Mission Shakti. “The debris created following the intercept will decay in a matter of weeks,” he added. Addressing the mediapersons, Reddy also said, “For a similar application we don’t need another test.” On Tuesday, the National Aeronautics and Space Administration (NASA) had termed a “terrible thing” India’s shooting down of its satellite, saying the hit-to-kill mission created about 400 pieces of orbital debris. “Some debris going up could be a possibility, as per our simulation also. We don’t have information on that. From our simulation, we can very clearly say that the possibilities of (debris) hitting the ISS are not there,” Reddy said. He said the first 10 days since the test were critical and that have passed, and in 45 days all debris will disintegrate. The Ministry of External Affairs too has said the test was done in the lower atmosphere to ensure that there is no space debris.Prime Minister Narendra Modi had hailed the A-SAT test’s success as “an unprecedented achievement” that makes India a “space power”. Some 150 scientists, including at least 40 women scientists, worked round-the-clock, and especially in the last six months on this project. About 2,000 components were sourced from 50 private industries. The idea began around 2014 and development started in 2016 with a go-ahead from the Government. The press interaction came days ahead of the first phase of the Lok Sabha polls on April 11 due to which the model code of conduct is in place. He also said that earlier in the day there was a meeting with eminent scientists to inform them about the A-SAT test. He also responded to a question on Congress leader P Chidambaram’s criticism of the government on the test, who had said that “only a foolish government” would reveal a defence secret.